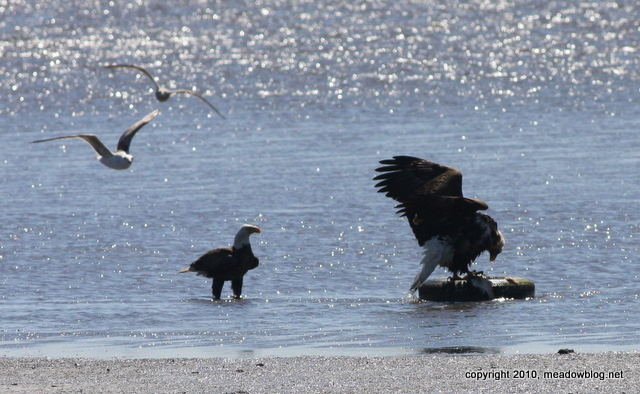 We also had two Bald Eagles on March 24 last year. Two Bald Eagles Over DeKorte at 3:15 p.m.
We just had two Bald Eagles over DeKorte Park, including one that flew within feet of the top of the Admistration Building. Naturally, we didn't have our camera with us at the time. Keep an eye out — this is the third sighting we know of this week. The others were at Mill Creek Point and Kearny Marsh. There's spring cleaning, and then there's spring cleaning. Last week, with the help of some heavy machinery, the NJMC's Angelo Urato removed a 75-foot-long utility pole that had somehow found its way from the Hackensack River all the way to Teal Pool in DeKorte Park. 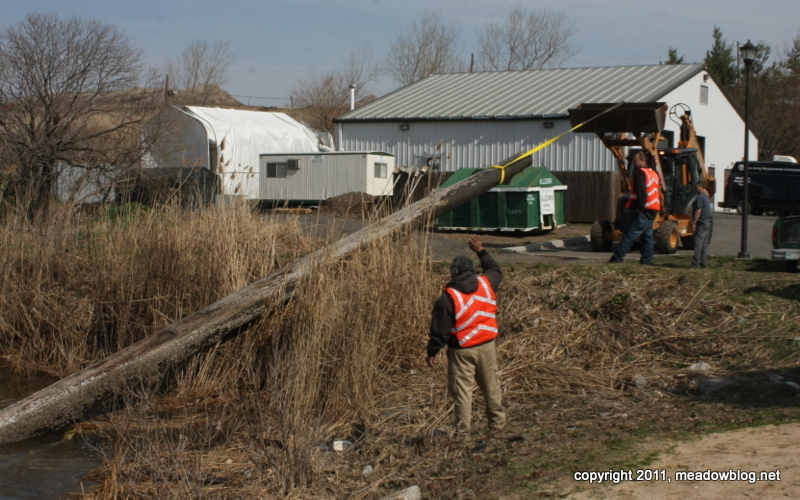 Angelo used a pickup truck to position the pole, and then pulled it from the marsh using a backhoe. The pole had to be removed because it could have damaged the tide gates and wreaked other havoc. The pole somehow got into Teal Pool on one of the storm surges earlier this month. The grounds are also being cleaned up, and the revamped butterfly garden is taking shape. The Last Snowfall of the Season? 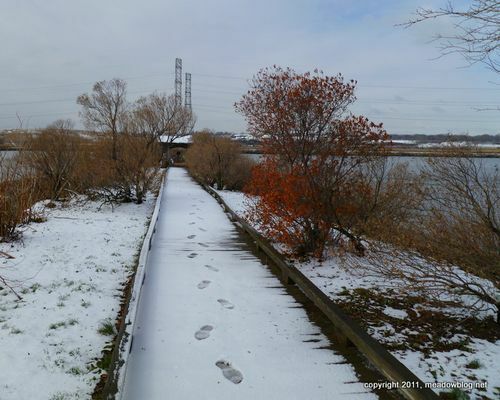 Lyndhurst Nature Reserve, DeKorte Park, today, 11 a.m.
Wow, does the Meadowlands ever have full slate of free events in April! 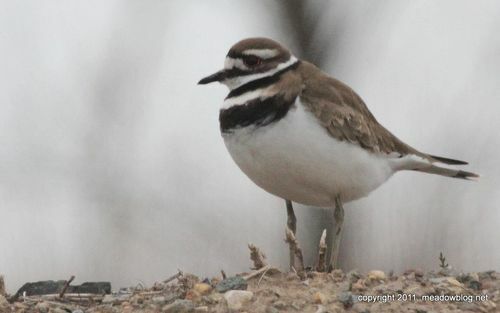 With our partners the Bergen County Audubon Society, we are holding three walks, a talk and slide show on "Birds of the Meadowlands" by the NJMC's Jim Wright (who keeps this blog), and a birding for beginners course. Full list of events follows. Save the dates!